If you are familiar with basic open chords (A, Am, B7, C, D, D7, E, Em, E7, and G) and can change between most of them without having to stop strumming, this class is for you. In this class, you will develop rhythm techniques for different styles of guitar playing and further develop your chord vocabulary. The class includes introduction to fingerstyle guitar and incorporating some riffs into rhythm guitar playing while continuing to sing and play in a fun and encouraging group setting. 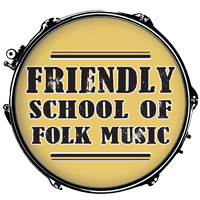 This is the second class in Friendly’s three-class guitar course and can be repeated until you are ready for the intermediate class.